Per Tom O'Dwyer [Landcare]: Red Box trees are common in drier open forests, chiefly with other box species, Red Shringbark, Red Iron Bark and Yellow Box. They can be found up to 650m elevation, in foothills, mostly on shallow soils of sedimentary origin, on hillsides and gullies or open flats. 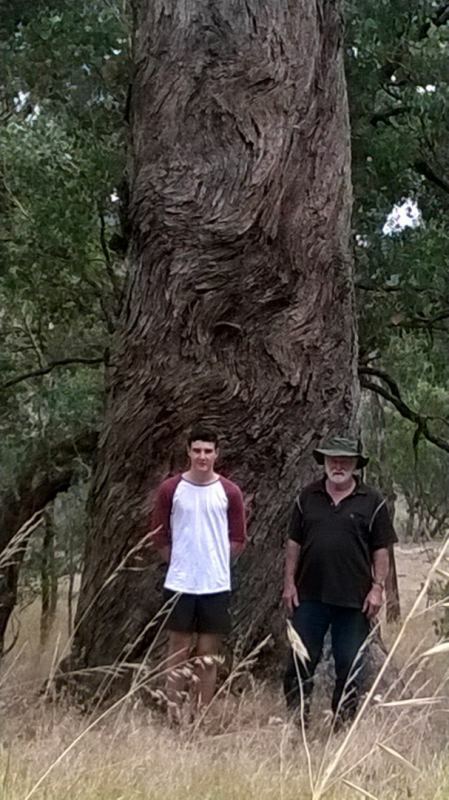 This tree is uncommonly large for a Red Box and estimated to be at least 400 years old! The tree elevation is at 204m AHD.